Project Preemie is dedicated to supporting families with children in the Neonatal Intensive Care Unit and the medical professionals who care for them. We want to lessen the burden on preemie families, offer resources for family and friends supporting them, and recognize the medical teams that care for them... so more space can be opened to celebrate each family's tiny miracle. Having a premature baby can happen to anyone. It can happen to you or someone you know. It can be a very isolating and confusing... and after it happens, the way of life as you know it changes instantly. Project Preemie looks to make life a little bit easier and more joyful for families that are facing the NICU Journey. Parents, we’re so happy you have found us. 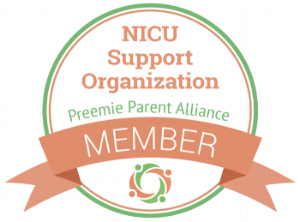 Our Project Preemie Family offers connection through care packages, peer-to-peer support, events and more.